The Two Gay Geeks and our Staff are taking a much needed break from Thanksgiving through the end of the year, but we still wanted to have content for you to read during that time. As such we got busy and watched all of our favorite holiday videos. Some are classics and others are off-beat and loosely associated with the holidays. We hope you enjoy our offerings and that you holiday season is safe, sane, and satisfying. It’s Christmas Eve during World War II and we see a group of young soldiers enjoying an impromptu cabaret type show in the ruins of what appears to be a village in Germany. 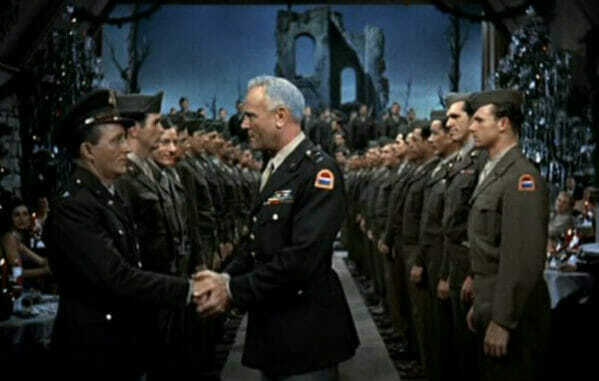 Captain Bob Wallace (Bing Crosby) and Private Phil Davis (Danny Kaye) are doing a tap dance routine, after which the Captain serenades the troops with “I’m Dreaming of a White Christmas.” They are met by their commanding officer, General Waverly (Dean Jagger), who is leaving this particular theater of war and is presumably heading back stateside. As the troops break up they find themselves under attack and Pvt. Davis saves Capt. Wallace from a falling building, only to have is own arm injured in the process. Later, Capt. Wallace visits Pvt. Davis in the infirmary, and Davis presents Wallace with a song. When the Captain tells him that he works solo and that the song is for two people, Pvt. Davis uses his arm injury as a means of manipulating the Captain into saying yes. The war has ended and the team of Wallace and Davis are taking the entertainment world by storm. Starting with a radio show and then moving to a stage show they ultimately become a huge hit. They are then introduced to the Haynes Sisters through some manipulation by one of the sisters, Judy Haynes (Vera Ellen). 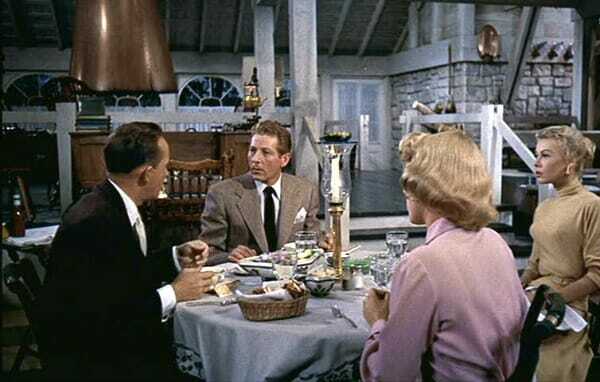 Big sister Betty (Rosemary Clooney) sees that it’s a ruse, but that doesn’t stop them from meeting Wallace and Davis. The next day the Haynes Sisters are leaving for Vermont as they are booked at an Inn for the holidays, and Davis wants for both he and Wallace to join them. They get there only to see that their old commanding officer, General Waverly, is the owner and manager of the Inn. Times are tough for the General, so the four entertainers put their collective heads together and try to stage a huge show to bring in people and raise money to save the Inn. Wallace decides to go a bit further and wants to create a reunion with all of the soldiers from that Christmas Eve. White Christmas is all about the touchy-feely-schmaltzy good stuff that came out of Hollywood in that era. Bing Crosby and Danny Kaye were already big names in the movies as they sing, dance, and perform comedy. Of course in the case of Danny Kaye he raises that bar to an unbelievable level. 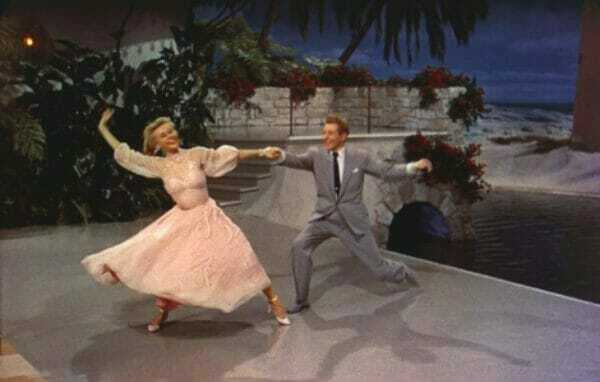 However, if we’re going to address dancing then attention must be paid to Vera Ellen as Judy Haynes. She was the real dancer of this cast and what she did in this movie proves it. With a waist size about as big as my thigh, and wearing the most ridiculous of high-heeled pumps, does some of the most amazing dance moves and could do a rapid-fire tapping like nobody’s business. 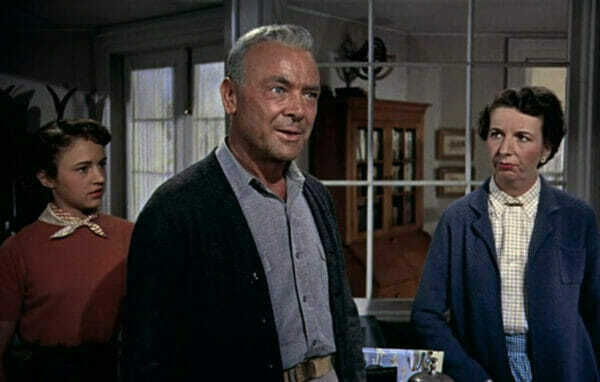 As for Rosemary Clooney, she was best known for singing, but agreed to do this film because Bing was in it, and also because she was promised a song of her own to sing. 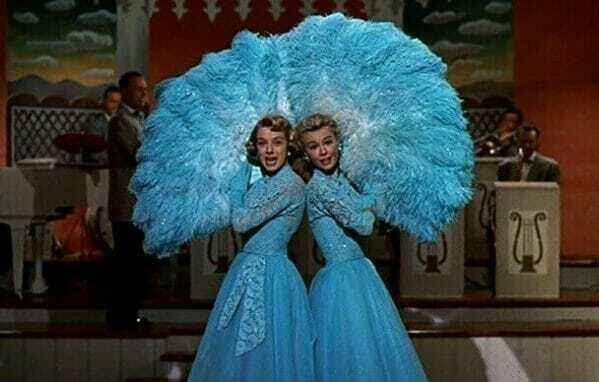 Interestingly enough she ended up doing a sort of double duty because Vera Ellen couldn’t sing, much in the same way that Rosemary couldn’t dance. 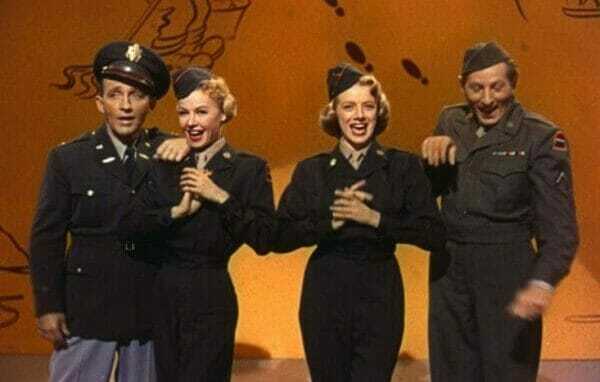 So, Vera handled all of the heavy dancing duties, and when it came to the singing Rosemary provided the singing voice for both her character of Betty and sister Judy. The simple fact is that White Christmas is a fluff piece of a movie. 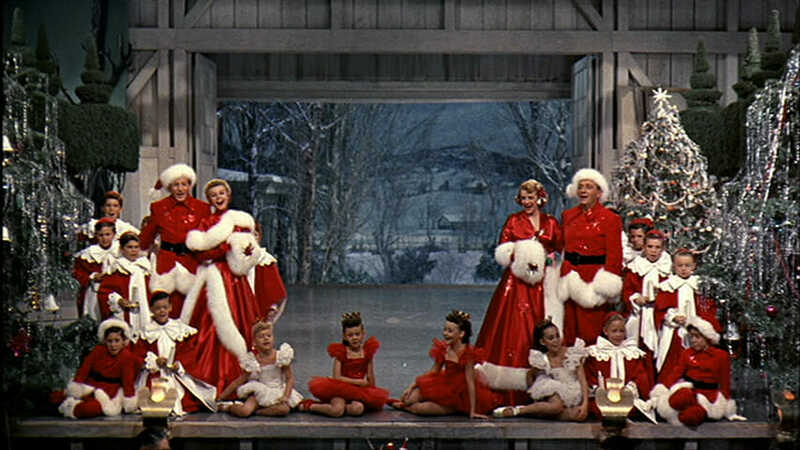 Musicals of that day were comprised of very simplistic plots that served as a means to showcase production numbers and this movie is clearly no exception, but it is only after adding the romantic feel of the holidays does White Christmas then become a true yuletide, and traditional, classic. Let us know what you think about our content in our webcast as well as our website. Please use the comment form below. Please be sure to read the Privacy / Terms and Conditions Of Use. Please remember to Play Nice. The world could use more fun fluff pieces like this. An impromptu cabaret is just want I need on some days. Thank you for the reminder of some great actors having a nice time with some good tunes for the joy of entertainment. Going to have to go find that movie, grab some popcorn, and settle in for a nice time. New from Beth Cato- It is AWESOME! This is a great film if you like 70's and 80's style horror. Many of you have heard us talk about our many Disney Cruises and other Disney Vacations. Well, we use Teresa at Fairy Godmother Travel to help us plan those vacations. Her knowledge of the industry combined with her specialization in Disney Vacations and Cruises is unparalleled. And it doesn't cost anything for her to help you. Is your world spinning out of control? © 2019 TG Squared Studios LLC - Phoenix, AZ | The opinions expressed on this site are our own and not those of our employers or any other company. All information is for informational purposes only. TG Squared Studios makes no representations as to the accuracy and will not be liable for any errors. Images are believed to be in the public domain, or for use by anyone. In case of an error where you are the owner of an image, please contact us with applicable copyright information and we can immediately remove it from our website. For additional information please refer to our Privacy / Terms and Conditions Of Use.